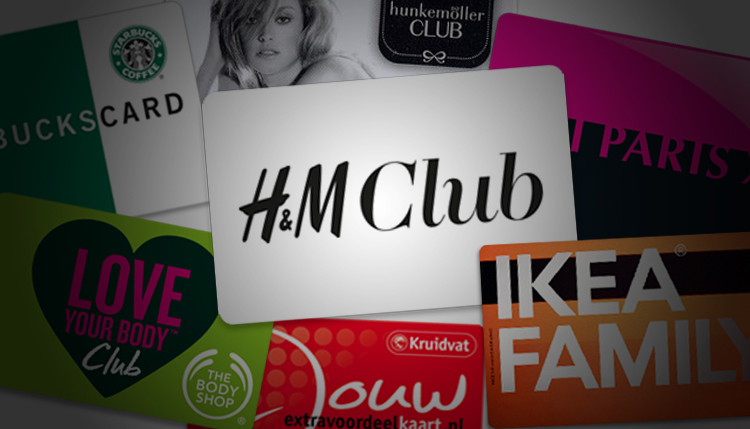 I was shopping at H&M the other day and it was announced about 37 times that everyone should join the H&M club with the H&M app for special offers. Membercards, club apps. Not at the gym, but at every ordinary retail store. The Love Your Body Club™, IKEA Family, ICI Paris XL Privilege Card… Retailers are using discount programs to try and create loyal customers. But what is the advantage of these loyalty programs? Nobody actually likes being in a club like this. A global report by Capgemini shows that active participation rates in loyalty programs are often low and 89% of the social media opinions on loyalty programs are negative. Rightly so. All these stores and brands make you download their app and hand them your personal data to become a member of their club so they can overwhelm you with a deluge of spam, and all of that for a measly discount? Does that make me a loyal customer? Or just an ordinary scrooge? Stop foisting newsletters and coupons as if they are amazing gifts. Just take a look at some brands that really offer something valuable. My friend Appie (an app made by supermarket Albert Heijn) always accompanies me when I go shopping (even though that is not always at the Albert Heijn) and Nike Running helps me to stay active. That’s what helps create a deep, lasting connection with a brand. Remember you can’t buy friendship.